Mitsubishi Heavy Industries Engineering, Ltd. Founded in 1917, Nikon began as a manufacturer of precision optical glass. In 1925, the company expanded into optical instruments, introducing the world’s first microscope with a revolving nosepiece and interchangeable objectives — JOICO. Since then, Nikon microscopes have helped to advance science and technology all over the world, such as playing a key role in recent Nobel Prize winning stem cell discoveries. If you asked Japanese people on the street to name one of their favourite models from overseas, chances are that Australian beauty Miranda Kerr would be on that list. Miso is produced by fermenting soybean, rice, barley, or other ingredients with fungus Aspergillus oryzae and salt. It is a traditional seasoning in Japan used for miso soup, pickling vegetables or meats, and sauces and spreads. Miso is high in minerals, vitamins, and protein, therefore it is a preference food for health consciousness people. Brewery executive Kosuke Kuji brought his best sake to a New York booze showcase 16 years ago hoping to promote high-end Japanese rice wine to a new generation of sophisticated foreign drinkers. They were a little disappointed. The Henkel Composite Lab, in Isogo-ku, will allow automotive suppliers to develop and test production-ready composite materials and manufacturing processes. A Tokyo start-up has invented a revolutionary aid to kicking the smoking habit and has attracted investments the company will use for expansion. TOKYO — Shipments by Japan’s cosmetics makers rose 1.2% to a record 1.52 trillion yen ($13.8 billion) in 2016, aided by rising exports and robust demand from foreign visitors. The world over many java enthusiasts are ditching coffee and green tea in favour of matcha tea, a cup of which is believed to pack nutrients equivalent to 10 cups of regularly brewed green tea. 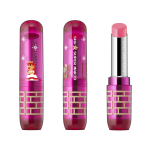 Japanese cosmetics maker Shu Uemura recently revealed a holiday beauty line patterned after — of all things — the Super Mario Bros games. It’s the crossover you never wanted and never expected, and it’ll be out in Japan in November. Japanese cosmetics makers will increasingly seek international targets that have a solid millennial customer base in order to compete with global majors. Japan’s Minister of Economy, Trade and Industry Hiroshige Seko and Abu Dhabi National Oil Company CEO Sultan al-Jaber agreed Thursday to cooperate on ADNOC’s recently announced new strategy, a METI official said. Given that matcha is high in antioxidants, enhances calmness, boosts memory and concentration, increases energy levels and endurance, helps to burn calories and detoxifies the human body, improve cholesterol levels and more, it is fast making its way as an ingredient of significance. Hitachi High-Tech and Etrion Corp completes 9.5MW PV project in Aomori, Japan on time. Sweden-based independent solar producer Etrion Cooperation has finished a 9.5MW utility-scale PV project in Japan, connecting the last two remaining sites totalling 4.2MW to the grid. Japanese companies Wonder Vision, NHK Enterprises, NHK Media Technology, and RecoChoku Labo have worked together to create a new kind of a virtual reality experience called 8K: VR Ride. As you can see in the video below, the firms created what is essentially a large ride that virtually flies you through the streets of Tokyo by placing you in a big theme park ride without using any traditional headgear that is common among other VR headsets that are available to consumers. Contributing to a solution to the water shortage in a major metropolitan area with the second largest city in Tunisia through the construction of seawater desalination facilities. The Japan-Africa Business Forum, co-organized by the External Representation Office for Asia of the African Development Bank (AfDB) and the African Diplomatic Corps (ADC) in Tokyo, is the only sizable business event in Japan that focuses on Africa. High-level public officials and business leaders from both Japan and Africa will gather to discuss the investment and business opportunities in Africa. There will also be great opportunities to meet with potential business partners. [UNITED NATIONS] Japan on Monday pledged US$1 billion over the next two years to back the UN’s development agenda, raising its profile as one of the world’s largest foreign aid donors. Utilizing the results of a NEDO project, Aerosense Inc. has developed a GPS built-in ground control point “AEROBO® Marker” with the aim of reducing survey man-hours and post processing time at construction sites. By installing these markers at construction sites, survey markers can be easily placed, eliminating time and effort otherwise consumed by additional survey man-hours. The first capsule hotel in the world opened in Osaka, Japan in 1979. Since then, capsule hotels have not only spread to across the country but around the world. Here are some of the coolest-looking ones that aren’t in Japan. Japan’s economy is running the hottest relative to capacity since the global financial crisis. TOKYO: The Bank of Japan offered its most optimistic view of the country’s regional economies in more than a decade on solid exports and private consumption, underscoring its conviction a steady recovery is gathering momentum. Global Matcha Tea market Report offers decisive insights into the overall Matcha Tea industry along with the market dimensions and evaluation for the duration 2017 to 2022. The forenamed research study covers extensive analysis of various Matcha Tea industry segments based on the type of applications, type of product Components and services, and different geographical regions. The European Union and Japan have formally agreed an outline free-trade deal. The agreement paves the way for trading in goods without tariff barriers between two of the world’s biggest economic areas. However, few specific details are known and a full, workable agreement may take some time. Two of the most important sectors are Japanese cars and, for Europe, EU farming goods into Japan. After resigning from a start-up he sold to gaming company Zynga, Japanese tech CEO Shintaro Yamada spent six months backpacking abroad. When he returned to Japan, he founded a company that this year became Japan’s first and only unicorn. Honda Motor Co. will spearhead its artificial intelligence efforts out of a new lab in Tokyo so that researchers can work closely with its engineers to commercialize the technology. Enthusiasm among young Japanese for Halloween continues to grow year by year, not only as a day to enjoy “cosplay” but as a time to spend on goodies like nobody’s business. Observed in many countries as a time dedicated to remembering the dead, the celebration in Japan has become firmly rooted as an autumn tradition of lighthearted fun or a bit of the macabre. GIFU, Japan — Kato Manufacturing, based in the blue-collar enclave of Gifu prefecture, in central Japan, is a microcosm of the country’s industrial evolution. Kyushu Railway Co. shares rose on their first day of trading in Tokyo after Japan’s government raised 416 billion yen ($4 billion) selling its entire stake in an initial public offering. A machine-tool maker called DMG Mori has its headquarters in Iga. What’s special about the company is that it’s working on the next generation of industrial machines – the ‘Industry 4.0′ generation. Measurement Exhibition Osaka is a 3 day event being held from 9th November to 11th November 2016 at the Osaka International Convention Center in Osaka, Japan. This event showcases products like Instrumental and control equipment, environmental measurement equipment, indicator instrumentation, electrical measuring and much more etc. in the Industrial Products industry.